It’s International Women’s Day today and, whilst we’re sure you know what the day celebrates, you can find out more about it here. We thought we would mark the occasion by celebrating some of the most inspirational women of the past year. America is facing a period of political upheaval, the like of which hasn’t been seen in decades. With the President making sexist remarks and using gendered insults, the American political landscape felt particularly hostile towards women in 2017. 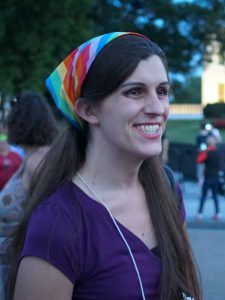 But it’s in this climate that Danica Roem defeated Republican Robert G. Marshall for the seat in Virginia House of Delegates 13th District. Furthermore, Roem, 33, was a first-time candidate. And, upon her victory, became the first transgender woman to win a state seat … a fantastic milestone! In February of this year, after the tragic shooting in Parkland, Florida, the usual thoughts and prayers poured in. But a group of students from Marjory Stoneman Douglas High School are subverting the usual script we follow after these events. They’re standing up to their state representatives, calling out politicians who accept donations from the NRA and organising school walk-outs across the country in protest of the lack of gun control laws in the US. One student stood out.Emma Gonzales gave an articulate and impassioned speech at a gun control rally in Fort Lauderdale. Gonzales is spearheading the campaign and showing that young women are more than capable of being informed, impassioned and impactful. What a fantastic actor Frances McDormand is! We’ve loved her since her stand out performance in the Coen brothers’ Fargo, for which she won the 1997 Oscar for Best Actress. She finished her speech with two words –Inclusion Rider. An inclusion rider is a clause that an actor can insist be inserted in their contract, that requires cast and crew on a film to meet a certain level of diversity. 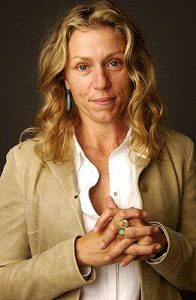 McDormand is using her power to lift up those around her. And that’s what makes her an inspiration. Moving closer to home, Mhairi Black burst into politics in 2015, when she defeated Labour Shadow Foreign Secretary, Douglas Alexander to become SNP Member of Parliament for Paisley. She was re-elected in 2017, and has been a breath of fresh air in UK politics. The UK’s youngest MP, Black has consistently given impassioned and intelligent speeches, calling out archaic Westminster traditions and austerity alike. In 2017 she stood up for WASPI women time and again, asking for fair transitional state pension arrangements for all women born in the 1950s who are affected by changes to state pension law. And, this week, during a debate about misogyny at Westminster, Mhairi Black bravely revealed the horrific sexist and homophobic abuse she receives online. By openly talking about the online abuse, she’s shining a light on a problem many women face and calling for change. Time’s Up is a call for change from women in entertainment for women everywhere. On the 1st of January 2018, a group of activists – including Jennifer Aniston, Emily Blunt, Anne Hathaway and Penelope Cruz signed a letter stating their commitment to a push for change, to make workplaces safe and equitable for everyone. The Time’s Up Legal Defense Fund has also been set up to cover legal and public relations costs in cases for those who have experienced sexual harassment in the workplace, administered by the National Women’s Law Centre. They have also set up a simple and directive list of things you can do to support the movement. It’s been a wonderful, hard, strange year for women. But these women prove that, although we’re still fighting for equality, fair pay and respect, we’ve got some great warriors on our side.